Shortly after the war for Southern Independence was over, the patriotic women of the South banded together to care for their honored dead by moving them from the battlefields to cemeteries, seeing that their graves were properly marked and building monuments to their memory on town squares and courthouse lawns throughout the South. We now face a different culture that would like to destroy this last vestige of tribute to our courageous ancestors. Unfortunately, this attitude has even become pervasive in the South. Paying homage to our Confederate dead by erecting cemetery markers and monuments is not “politically correct” either. More and more The cemetery markers and monuments to our Confederate Soldiers are defaced and destroyed by acts of vandalism. That is why the Confederate Legacy Endowment Fund needs your help and support. Through the Confederate Legacy Endowment Fund, the Military Order of the Stars and Bars is undertaking to restore and rebuild Southern memorials and monuments and providing scholarships to our young men and women. We are emphasizing to our Southern Youth that the Confederacy is not accurately portrayed by the media or by many educational institutions. The MOS&B has formed the Confederate Legacy Endowment Fund to fight the battle against “political correctness” and apathy. 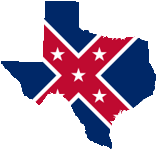 Our long-term goal is to raise One Million ($1,000,000.00) to promote our Confederate Heritage. 1) Obtain land acquisitions and right-of-ways in/around Confederate memorials/monuments. 2) Establish a perpetual Confederate monument and memorial maintenance fund. 4) Construct statuary for our Confederate heroes. 5) Publish Pro-Confederate books and treatises. Compatriot, we are asking that you pledge $1,000 to the Confederate Legacy Endowment. Your pledge can be ascribed over a period of four years ($250/year). The Order is a registered 501 (c) (3) tax exempt organization and your financial gift is tax deductible. ______YES, I want to help. Completed Members will receive the prestigious Confederate Legacy Legion of Merit drop to wear as well as a beautiful certificate for display.